Working on the Pineapples for Everyone CAL, in Caron Simply Soft Paints. I just finished up the first skein, and am starting on the second. Hoping the yarn will be enough. Love the yarn, might be too busy for the pattern, but feels so soft!! I shared another project earlier this week, a slouch hat in Chroma & Bare (KnitPicks), and have since started to make a pair of fingerless mitts to match. This is closer to accurate color. 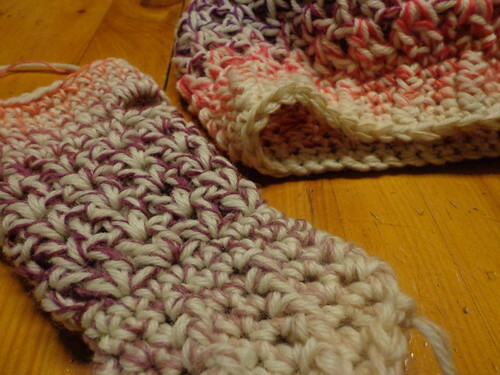 Head over to Tami's & Ginny's to check out more progress & happy yarn-y things! What lovely crochet and such great colours. I'm not in the midwest but definitely sick of the snow (french alps!). The pineapples for everyone shawl looks gorgeous! It's going to be nice to wrap something so soft and warm around your shoulders... especially since spring seems to be taking its time arriving. 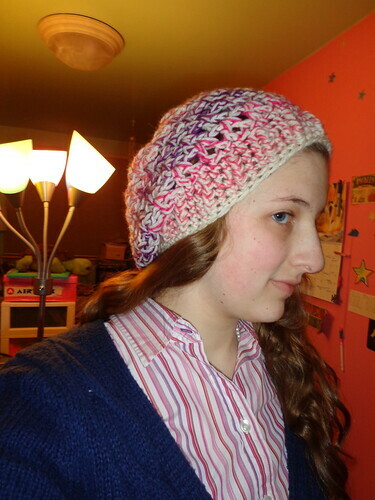 That shall is beautiful and I like how you matched your blouse with the colors in your hat to show it off! 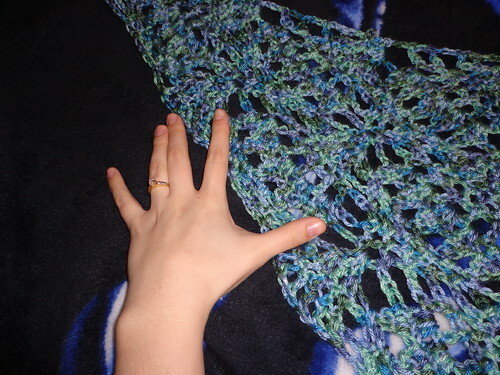 I think your Pineapples for Everyone Shawl looks great, definitely not too busy! I love the hat, too.